I want to thank all of the readers of TAOofDentistry.com through the years. I have learned a lot through my years in dentistry, and chose to write my original blog in order to share my philosophy—or way of practice. That is the one tool that rarely changed and the one tool that brought me to where I am today. (Successfully retired). I first started developing my philosophy when I went to the Pankey Institute many years ago. L.D. Pankey developed his own life and practice philosophy based on the writings of Aristotle. I became enchanted. I couldn’t get enough of that material and continued to study philosophy, psychology and personal development over the next twenty five years. I read everything and ended up writing four books. The theme of all the books was personal development. I also studied Positive Psychology at the University of Pennsylvania. As you know dentistry is a very intimate profession. The craft of dentistry is quite objective but the human side of dentistry is filled with emotional situations that can change everything. The dentist must learn to become an excellent clinician as well as a businessman and a psychologist. In my Positive Psychology program I realized that the philosophy of L.D. Pankey, Aristotle, the cognitive psychologists, the humanists, and today’s self-help gurus like Tony Robbins, Dale Carnegie and Napoleon Hill were basically teaching what has been taught through the years by a group of philosophers known as The Stoics. Mainly the philosophy of the three most well-known – Seneca, Epictetus and Marcus Aurelius. Albert Ellis, the founder of cognitive behavioral therapy (CBT) credited the ancient stoics for being the inspiration for his work in helping patients to make rational sense of intense emotional situations. Viktor Frankl the Holocaust survivor used Stoicism to help develop his form of therapy—logotherapy, which helps us to slow down and get into the gap between stimulus and response. Stoicism has become very popular these days. It is regularly discussed on the podcasts of Tim Ferriss and Joe Rogen. Ryan Holiday has made Stoicism into a cult following with his books, The Daily Stoic, The Obstacle is the Way and The Ego is the Enemy. I have been studying and applying Stoicism in my life and practice for the past four years. That is why I am changing the name and the focus of this blog to Stoicdentistry.com. The posts will help answer much of the confusion that young dentists have these days concerning, leadership, purpose, meaning, practice management, excellence, burnout and motivation, well-being (physical, mental and emotional). So this will probably be my last post on TAOofDentistry.com. Hopefully you can join me on Stoicdentistry.com for continual posts. I will try to post every week —maybe twice per week. If you are a young dentist looking for thoughts and ideas on dental practice, don’t hesitate to contact me – and if you have suggestions on what you would like me to write about–please comment below. Remember – before success–before happiness—there is philosophy. 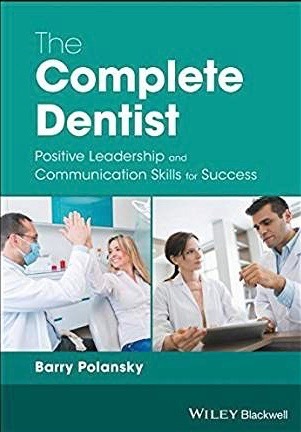 I am proud to announce the publication of my latest book, The Complete Dentist: Positive Leadership and Communication Skills for Success in Dentistry. While writing this book I went through many emotional ups and downs. My past books were about specific procedures like the examination and case presentation. This book was borne out of the thought of “what really matters” for a career in dentistry. I wanted it to be relevant for today’s younger dentists. My own career path was a very bumpy road, and I practiced at a time before the professional landscape became so difficult to practice with a sense of autonomy. I began practice before insurance, before HMOs, PPOs, advertising and corporate influence. Looking over my 45 years in dental practice I realized that dentistry was less about the technology of the day and more about making it work so that I could sleep at night, knowing I did my very best and spend time building a thriving practice and life. 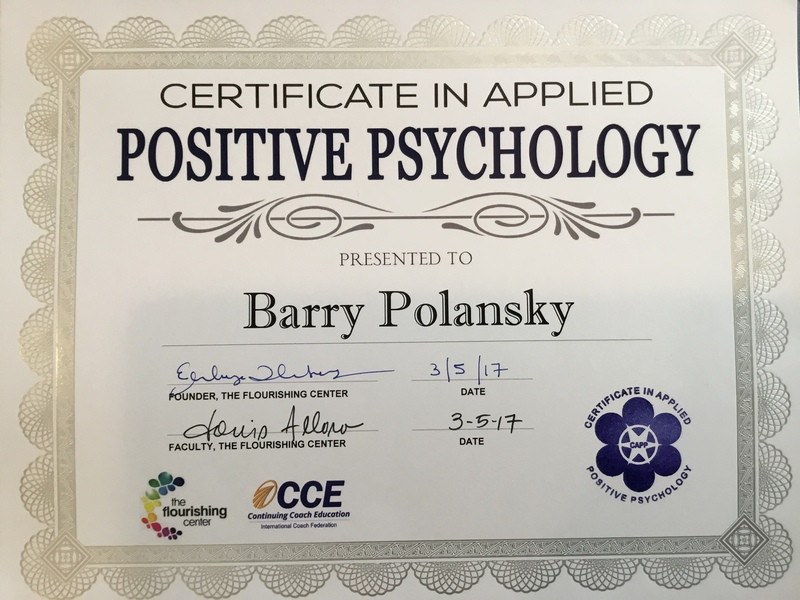 Those who know me personally know that I spent a lot of time studying positive psychology. I found that the answers to the “big questions” that young dentists want to know, lie in positive leadership and communication. Along the way we want to do excellent dentistry. Our culture rewards mediocrity. The word mediocre actually means “halfway up the mountain.” My feeling is that if we are going to take a journey up the mountain we might as well go all the way to the top…not just halfway. This books explains how to get to the top. After reading this book I hope you will agree, that in today’s professional environment, our dental education does not equip young dentists to adequately deal with the leadership and communication skills necessary to practice truly excellent dentistry...dentistry that is not only satisfying for the patient but meaningful. Dentistry that is part of the bigger overall healthcare of our patients. This is not today’s dentistry. In re-reading my own book I became even more inspired because leaders are never satisfied with the status quo (mediocrity? )—leaders are always about change. The status quo in the dental profession right now is at its lowest levels. It’s up to dentists to take on more of a leadership role—this die has not been cast. If you read my book- and I hope you do—I would love to open up an ongoing conversation. If you feel the desire to share–please do. The book and the ideas are important. 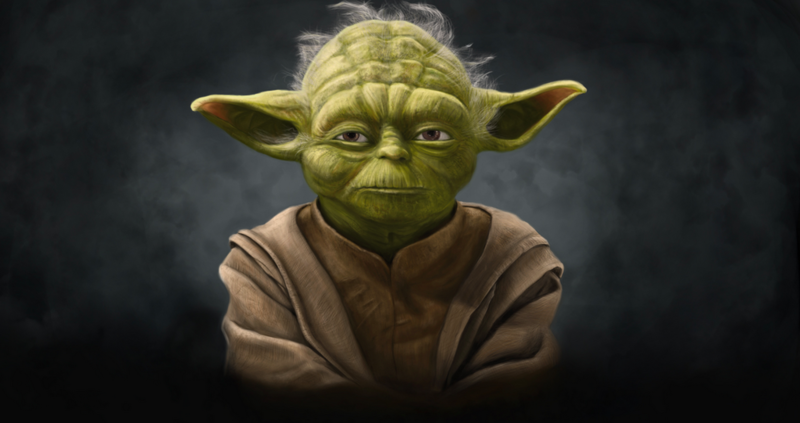 A long time ago in a galaxy far far away…you know that line from Star Wars. Well, in dentistry we had our own version and we called it Jaw Wars. Many of you who practiced years ago are familiar with the occlusion wars between neuromuscular occlusion, centric relation and some of the lesser known philosophies. I remember getting caught up in endless debates about which occlusal method was better. Then the wars seemed to die down. Other trends seemed to dominate dentistry. Boy—those were the good old days. A few weeks ago on one of the more popular Facebook groups I saw a post that discussed the impossibility of being able to find and record a true centric relation position. The comments flowed—just like the old days. The biggest difference that I noted was that many of the dentists weren’t arguing about which philosophy of occlusion was better but rather the difficulty of finding the position was leading many of the dentists to throw the baby out with the bathwater and abandon any occlusal philosophy. I wondered why? The principles of occlusion hadn’t changed. But dentistry has changed. The way dentists practice today has drastically been altered. For whatever the reasons, it’s not a good idea to abandon a philosophical approach to dentistry because there are forces that are difficult to control...like the economy, third parties or corporate policies. I remember debating with a “cosmetic dentist” about his article The Truth About CR. It was a heated debate that was carried on in the dental trade magazines. Today, I look back and wonder if it was about centric relation at all…or was it really about a philosophy of practice. I liken it the question people ask about “what is the worst breakfast you can eat?” The answer is “no breakfast” is the worst breakfast. In dentistry – what is the worst occlusal philosophy? That’s right…no philosophy is the worst philosophy. Occlusion is the foundation of complete dentistry. Too many dentists have focused on tooth dentistry and the current trends as they have relinquished control and their freedom of choice to the third parties. A coherent philosophy of practice – and of life is still within the control of each and every one of us. If we all exercised that right, then maybe we can do something to bring dentistry back to the good old days. I started practicing dentistry in 1973…that’s 44 years ago. A lot has happened in those years. We went from the predominance of amalgam to chiefly metal free restorations. From bridgework to implants. I saw the advent of new materials, new equipment and all kinds of new technology. Some of it, like veneers and implants, and digital radiographs changed dentistry. Other advances are now obsolete like air abrasion for cavity preparation. And some had questionable benefits, like computerized local anesthesia. No matter how long you have been in dentistry I am sure you have seen many trends and fads come and go. That is why the best dentistry is principle centered dentistry. I recently read a post on Facebook by an older very prominent dentist who confessed that as he got older he was becoming frustrated when he saw some of his work failing. He blamed it on patient’s non-compliance I sympathized with him. I too have gotten older and see the same phenomenon. Years ago I bought into the idea of doing “predictable” dentistry – or dentistry that lasts. I came to realize through some pretty good mentors that the only way to get there was to do comprehensive relationship based dentistry. I was so taken by that concept that I wrote my first book, The Art of the Examination which spelled out the entire system. It’s that philosophy that attempts to create dentistry that lasts – not any trend or fad such as digital radiographs or lasers. Younger dentists these days are enamored with the latest technology. The newer practices promote the latest fads and technologies rather than focus on great diagnosis, treatment planning and creating strong high quality relationships. I came of age in dentistry when perennialism ruled. In other words we were taught everlasting principles that could create success through many generations. Preventative dentistry for example is a perennial philosophy. For those who have been around, I think you understand what I mean by some of the changes we see. Less and less people see the dentist regularly. More and more full mouth implant cases are being done these days. Sure–a lot has happened culturally, politically and economically, but I still believe that comprehensive relationship based dentistry holds the answers to this cultural mismatch. Comprehensive relationship based dentistry that is based on human universals which are features of a culture, society, behaviors, and psyche that stay consistent through time and place. 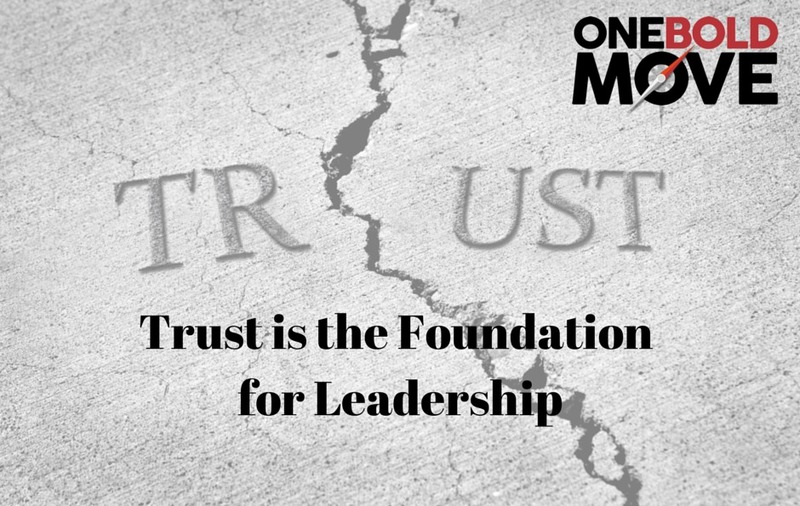 These include leadership, trust, empathy and storytelling among many others. We tend to throw the term comprehensive relationship based dentistry around as if it has lost its meaning. If we want to do our jobs properly with a sense of duty then we must do this type of dentistry. Comprehensive means complete. If we do complete dentistry it starts with a complete exam in order to uncover every single etiologic factor of disease. Everyone knows that…it’s the practicing that makes it difficult. I am sure the dentist I mentioned above practices comprehensively. It’s the second part—the relationship-based part where things get sticky. This is the part, I believe, that dentists truly have let go. Fully understanding and taking the time to create and maintain strong relationships is less common today than ever before. The cultural mismatch. If the dentist is experiencing frustration because his or her work is failing because of non-compliance, then this can’t get fixed with more technical advances. These are relationship issues. These are leadership and communication issues. That is why it is impossible to do comprehensive dentistry with the human factor. Dentistry is changing. The profession needs to step up from within. I see major gaps in thinking between the older generation of dentists and the younger dentists just starting out. There has been a paradigm shift. Blog posts and social media groups are questioning the future of dentistry. 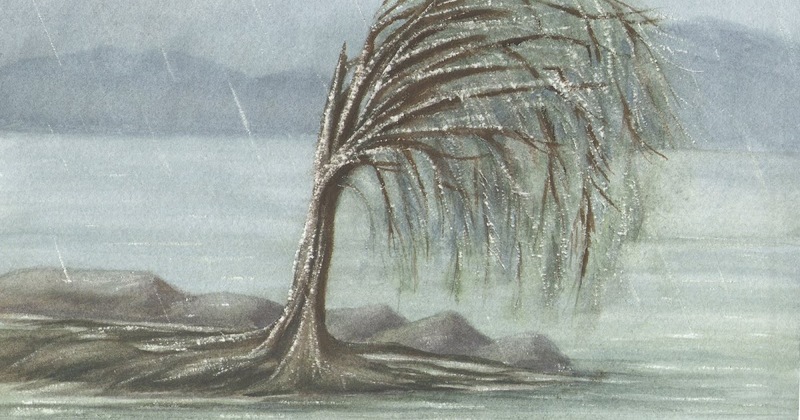 Please weigh in with your feelings – what have you experienced and what do you see happening as we go into the future?